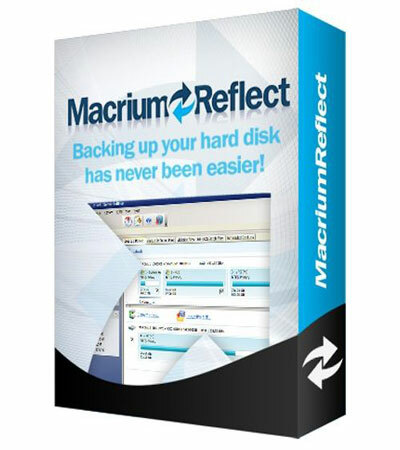 Macrium Reflect V6 is the latest backup solution from Paramount Software UK. The program is ranked by some software review websites among top 10 programs in this category. Easy-to-use interface – when restoring data or backing up, users could easily do the tasks using the drag and drop functionalities of the program’s interface and user-friendly wizards. Folder and file backup – users could select whichever file and folders they want, no matter which partition contains them. The options include access control lists and NTFS permissions. Differential and incremental backups – these make the whole backup process less time consuming and more effective. Full hard disk backups are only done when needed. Disk cloning/imaging – the software makes it possible to create images of selected volumes or hard disks, or entirely copy a disk directly to another. Users are also enabled to resize/order the partitions while cloning them. Scheduling – to automate backup process users are allowed to define monthly, weekly, or daily tasks to back up their files and data. Compression – taking advantage of best compression methods to save disk space. Browsing – a great feature to view the files and folders included in a backup archive in Windows Explorer. Resize/reorder disk volumes – Macrium Reflect program offers to change the size or order of volumes while restoring them. Security and protection – to stop unauthorized users to access private files, the application offers to protect data with password. In addition, AES encryption (128/192/256 bit strength) is also available to encrypt backup files. Please note that some features are new in V6. These include virtual image boot, Rapid Delta clone/restore, SSD Trim support, and WinPE Rescue Environment. The V6 Free version includes all the primary options such as drag & drop user interface, resize/reorder volumes, fast imaging, backup browsing, compression and auto verification options, etc. To download this free tool go to the official website or CNET. Macrium Reflect V6 Home Edition ($69.95 for a single license) is the cheapest among all available paid versions of the application. In addition to features included in the free version, Home Edition offers features such as password protection, AES encryption, dynamic disk support, folder & file backup, incremental backup images, and so on. Workstation edition is very similar to the Home edition in terms of options and features but is intended for business use and is priced $75. To support Windows Server (2012/R2/2008/2003) users should consider buying licenses for Server ($250) or Server Plus ($599) editions. The extra features coming with Server Plus version include supporting for Microsoft SQL Server 2014/2012/2008/2005 and Microsoft Exchange Server 2013/2010/2007/2003. Also some unique options is available in this version such as SQL continuous backup, granular backup for MS SQL and MS Exchange, and Exchange Mailbox restore. The official website of Macrium Reflect contains more information on these licenses and other ones like technicians, VM bundle, and Deployment Kit licenses. To try out each edition users are able to download the trial version of them which could be used for a month.